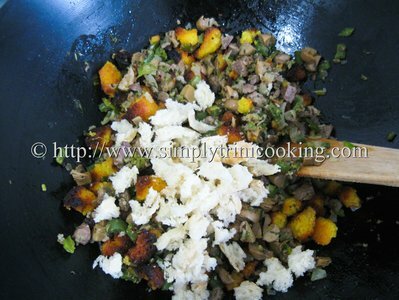 Are you ready to stuff your turkey with this turkey stuffing? 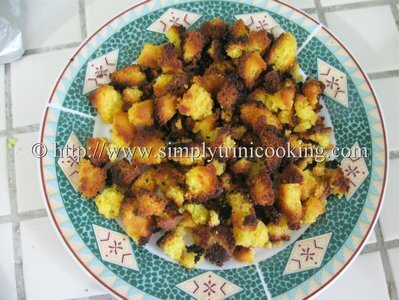 First, put aside all that plain bread crumbs because this stuffing recipe calls for cornbread. 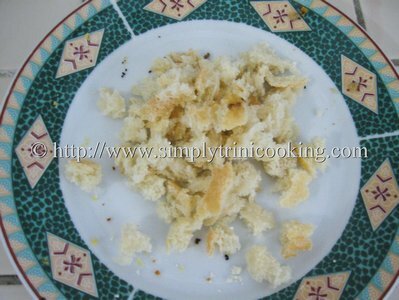 Now, if you don’t know how to make cornbread I have a wonderful cornbread recipe on the site. 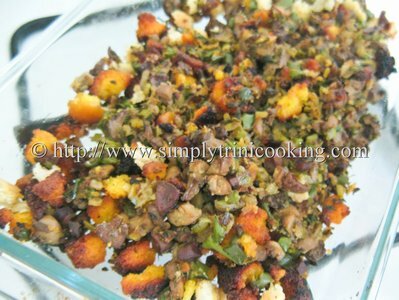 This cornmeal stuffing is flavorful and colourful as well. It is well suited for any time of celebration – Christmas, Thanksgiving, New Years, you name it. This Christmas I made cornbread stuffing, and it tasted delicious. 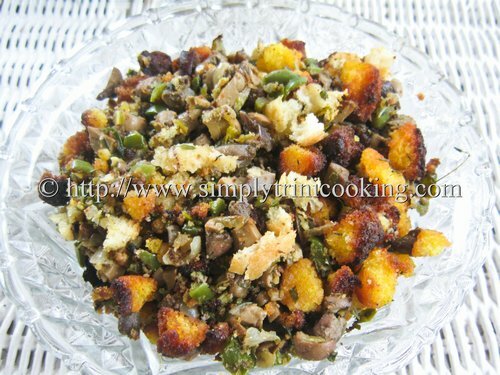 This cornbread stuffing also goes great as a side dish, especially if you change your mind on stuffing the turkey. 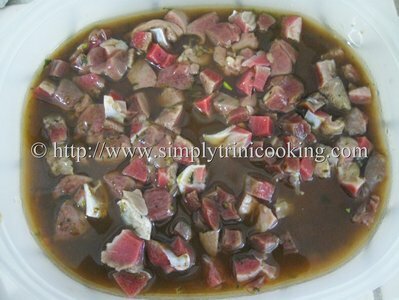 This is a very simple recipe. 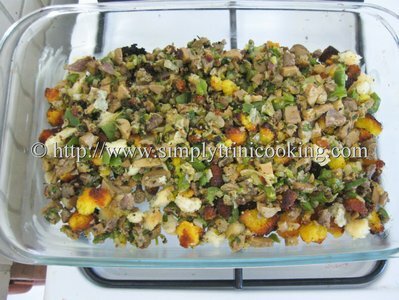 Once your stuffing is prepared you may stuff your turkey with it. However, there are a number of things you should know about before stuffing a turkey. A stuff turkey takes longer to cook, so care should be noted; you should refer to this post on stuffing your turkey. Here is turkey stuffing. 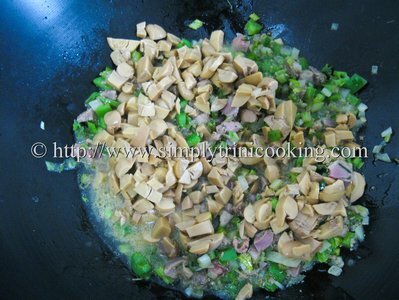 Marinate the poultry giblets in seasoning. Dice the sweet peppers and onions. 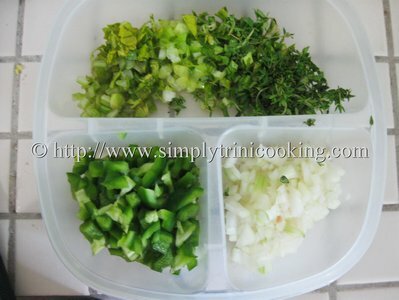 Finely chop the herbs. 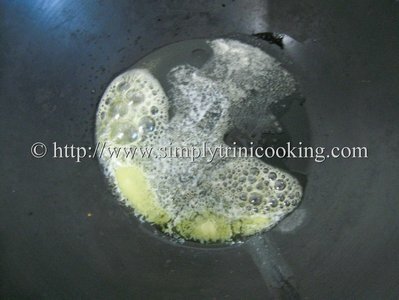 Heat the butter in a sauce pan over low heat. 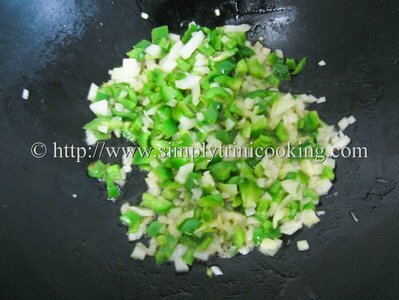 Add the sweet pepper and onion, and cook for two minutes. Add the seasoned poultry giblets. 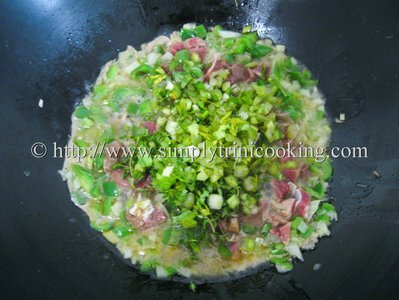 Saute for about 6 minutes. 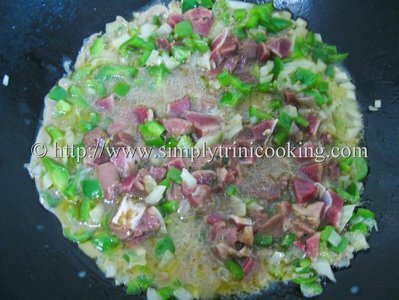 Mix in the cornbread for about a minute and then remove from the heat. 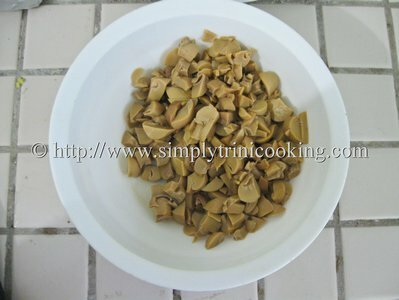 If you like you can add white bread crumbs to the dish. 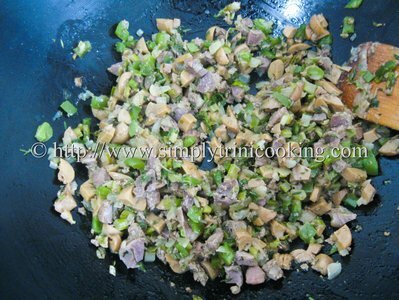 The taste would not be compromised, but you must not add too much. Here is an example of what you may do. If you want more moisture in your stuffing, add the chicken broth at this point. Use as needed for stuffing a turkey. you may bake the stuffing for about 15 minutes in the oven at 200 degrees Fahrenheit. As usual, I encourage to experiment with taste and see what you come up with. Remember the “you” factor when you’re cooking. 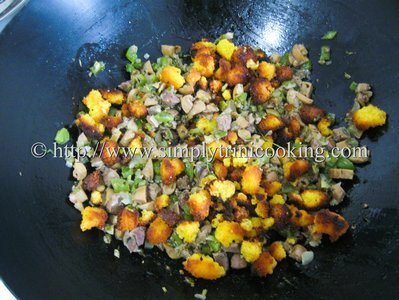 What is your favourite turkey stuffing?